So many mums say the same thing – there are no photos of her and the children apart from selfies. Give a memory of ‘being mum’ this Mother’s Day! Gift vouchers for a photoshoot available from £50 (30 minutes, including 10 images). What’s more, if you mention ‘Crawley Mumbler’ when making a booking, you will receive 5% off a 1 hour shoot (normally £85 – including 30 images) or 10% of a 1.5 hour shoot (normally £120 – including 45 images). 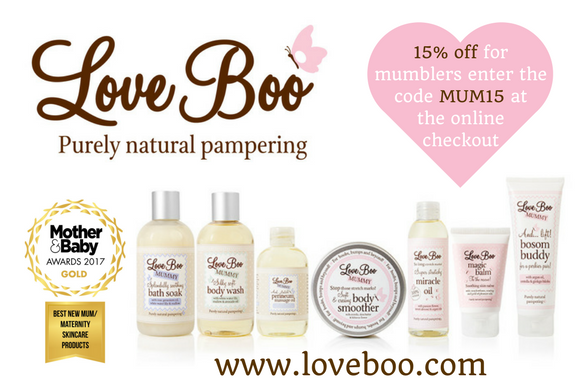 Love Boo – Purely Natural Pampering for Baby and You! Developed by two mums, winners of several awards including a Gold Mother & Baby award 2017. Enter the code MUM15 at the checkout to claim your exclusive Mumbler discount. At a Box of Happiness, we believe self-care is one of the most important factors in maintaining wellbeing and mental health. We produce subscription boxes and blissful botanicals hand blended in the heart of Yorkshire. You can also buy one off boxes. Spreading happiness one box at a time! As an exclusive offer to Mumblers, we’re offering a third off any box of happiness. Just enter the code MUMbler1733 at checkout.